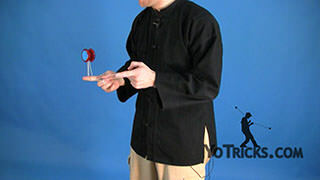 Titanium Chopsticks is a nifty repeater which is great for honing Chopsticks skills. 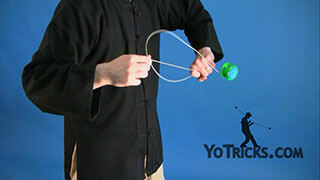 Titanium Chopsticks is a repeater that makes you look like you know what you are doing when you are doing chopsticks tricks, and it is an excellent way to practice all the different chopsticks elements. 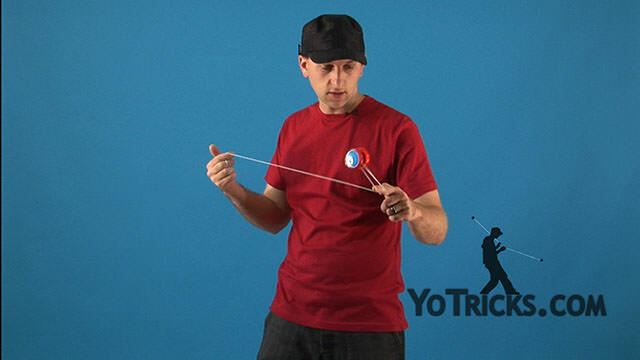 So, Titanium Chopsticks start with a Breakaway. 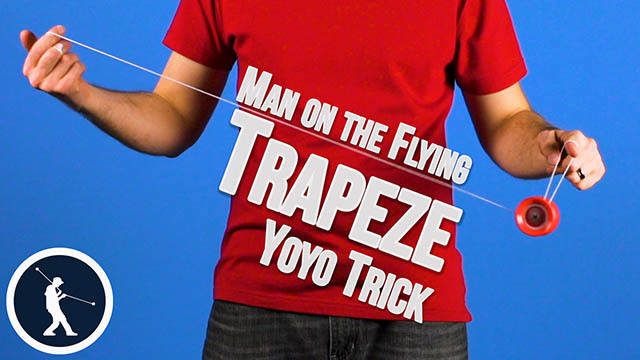 Go into a Trapeze. 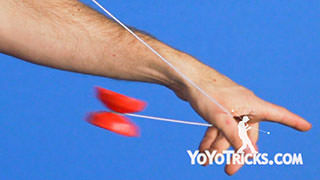 We want to hop the yoyo off onto our middle finger. 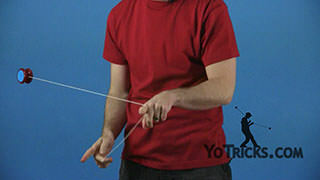 Then take our opposite hand thumb and put it to the bottom of the string just like this. 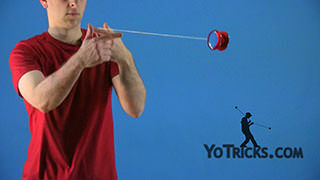 Then we want to go into an undermount, swinging the yoyo to the throwhand side of our thumb. 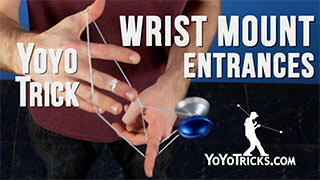 This is just like going into an undermount but instead our thumb is now in the loop. 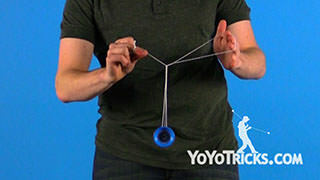 Then from here while the yoyo is swinging over toward our throwhand side, we want to spread our middle finger and our thumb apart. 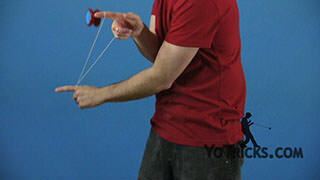 Then we can swing the yoyo over top of our thumb. 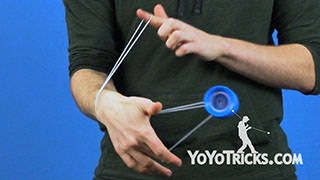 Just like this, landing onto both strings. 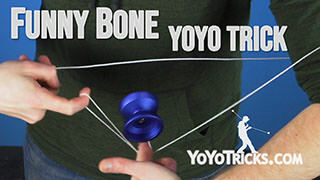 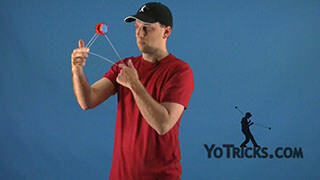 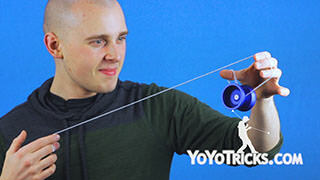 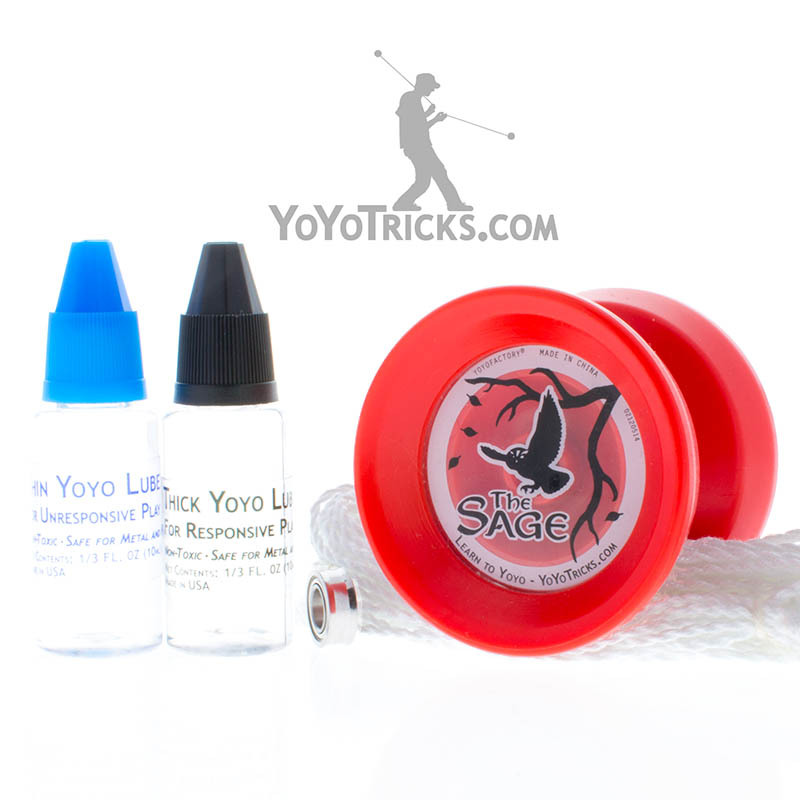 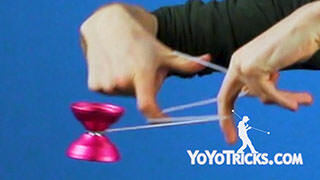 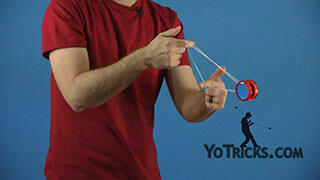 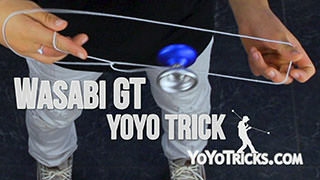 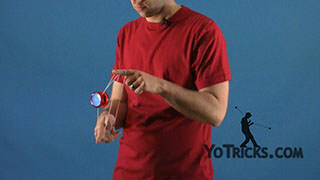 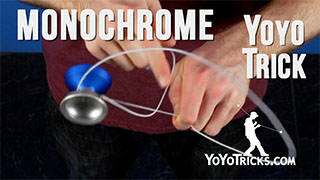 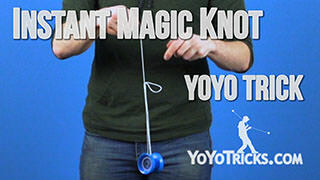 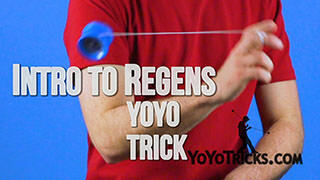 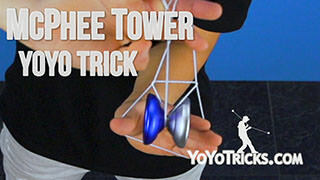 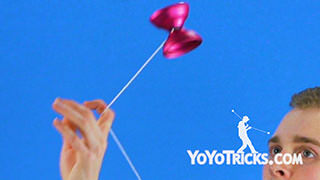 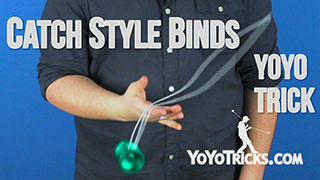 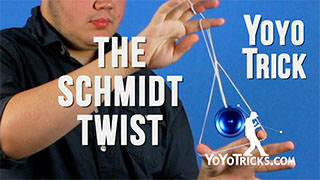 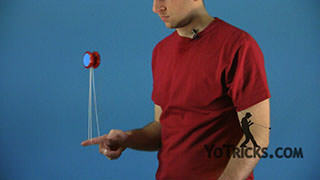 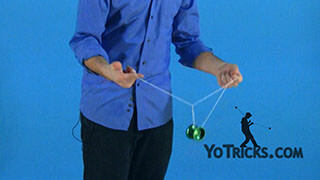 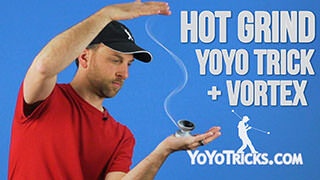 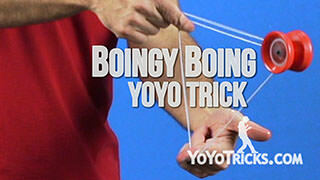 Now, this movement is made much easier the closer the yoyo is to your fingers. 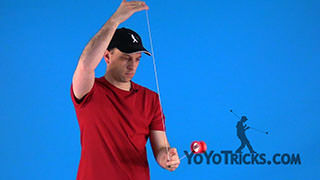 So, if the yoyo is all the way down here, you are doing to have a really hard time hitting both strings. 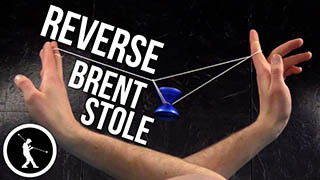 So, once you are here, we just want to reverse that motion. 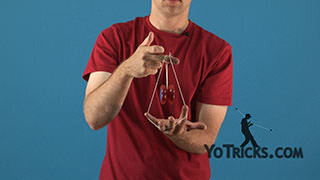 We are going to take our opposite hand wrist and tilt our thumb a little bit below our fingers. 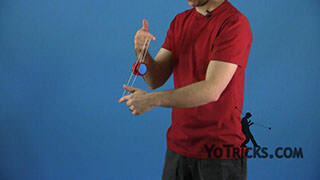 It is a pretty small movement. 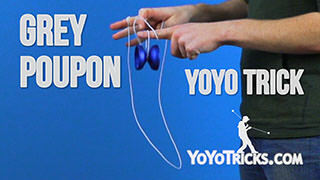 Then we just want to hop the yoyo between our fingers. 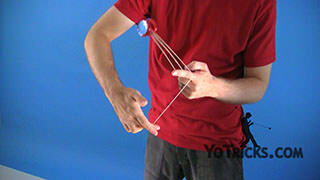 So we are right back in that undermount with our thumb in the loop. 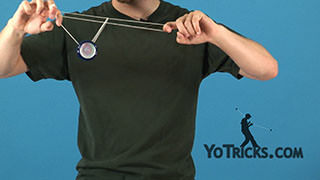 From here, while the yoyo is swinging toward our non throwhand side, we want to tilt our wrist in the opposite direction. 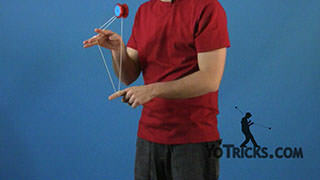 So, fingers below thumb, and then we can pull the yoyo between our middle finger and our thumb, just like this. 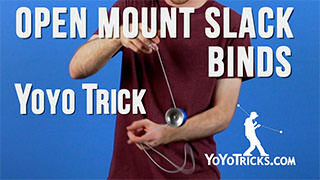 Now you will see that you are in a basic under thumb mount. 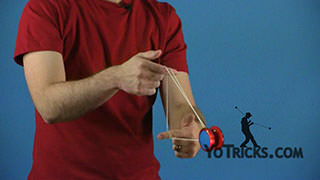 From here, as the yoyo is continuing to swing toward our throwhand side, we want to double the yoyo over our thumb, just like this. 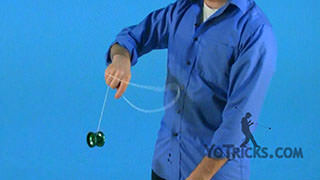 So, that is pull through, double on. 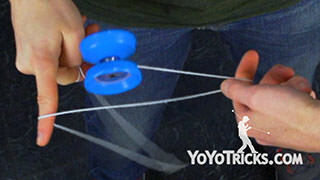 From here we just want to reverse it and do the inverse of everything that we did. 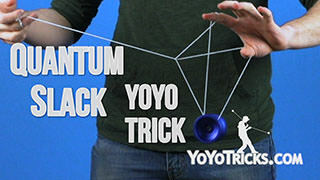 So we are going to double off. 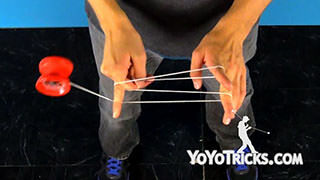 Then we are going to tilt our opposite hand so that our thumb is higher. 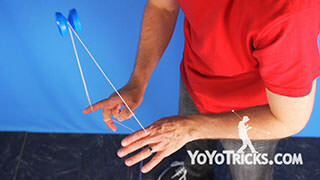 Pass the yoyo between our middle finger and our thumb. 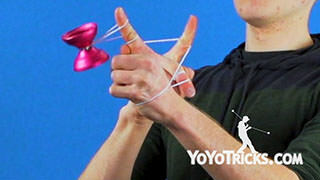 Then tilt our hand down so that our thumb is lower. 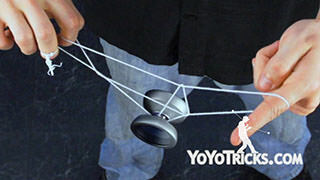 Then continue swinging the yoyo over our thumb. 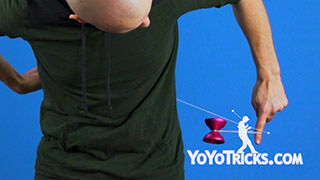 Boom, we are right back where we started. 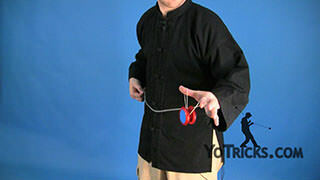 Then we can just hop off and repeat going between these two sections. 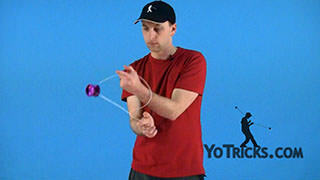 So, as you are working on all the elements in this trick, you might find that some of them can be pretty finicky. 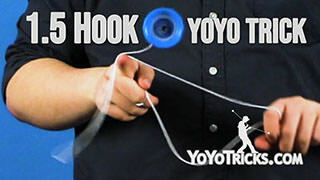 So I have got some tips for you. 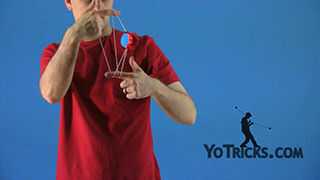 The first thing is that as you are practicing this trick, feel free to experiment with the different fingers that you put in the mount. 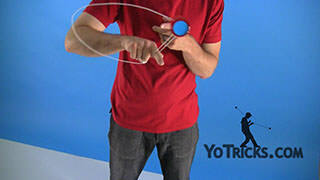 So, personally I like doing this trick best with my pointer, middle, and ring finger in the undermount. 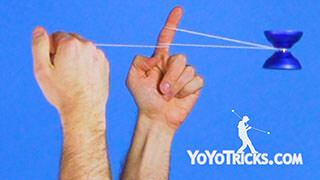 Some people just like their pointer finger. 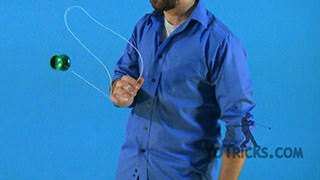 Some people just like their middle finger. 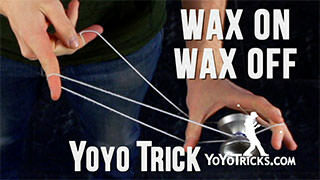 They are all valid ways to do this trick and you should experiment with doing it in all the different ways that you can think of. 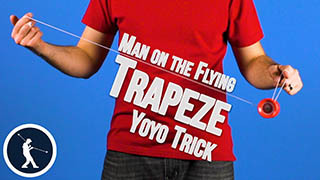 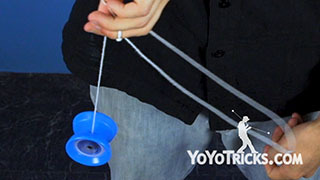 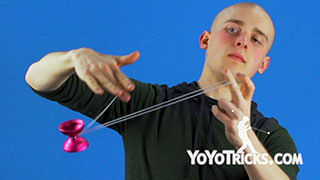 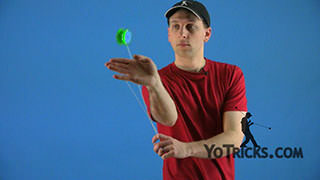 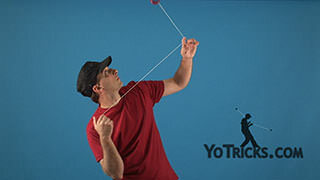 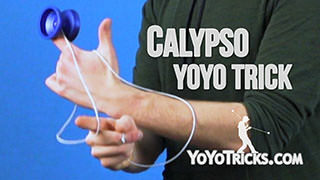 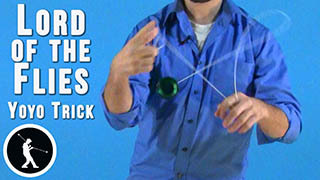 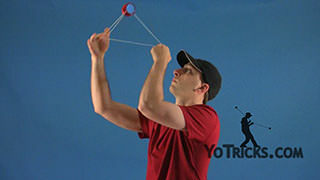 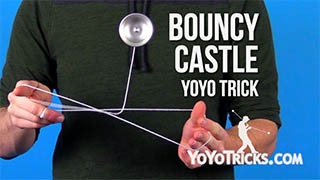 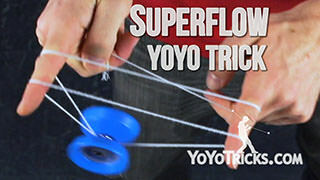 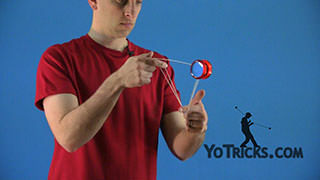 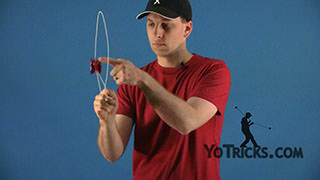 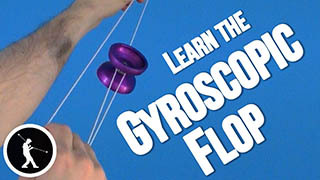 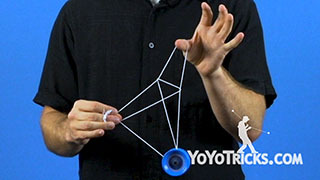 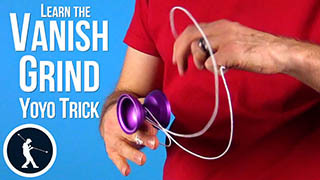 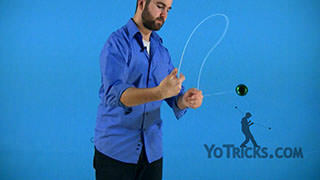 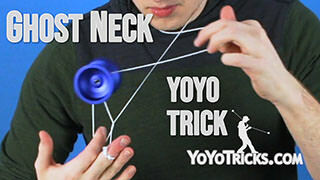 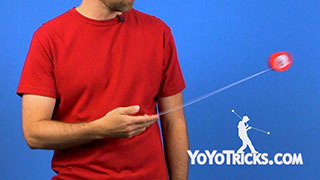 Other than that, The closer that you keep the yoyo to your finger and the tighter this whole formation is, as a whole, the easier it is to hit all the different strings. 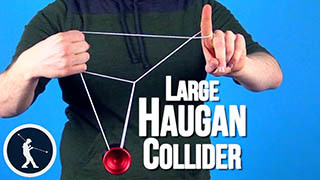 But it is also going to be a little bit easier to hit your fingers. 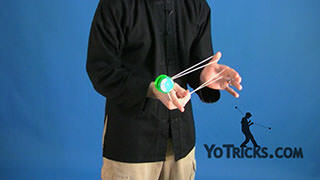 This really is not a big deal, it will go away with a bit of practice. 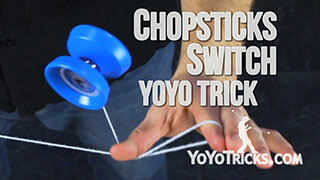 And that is Titanium Chopsticks.